Doing more than you have to! Volunteering is something I have always done, as have many of my friends and family members. 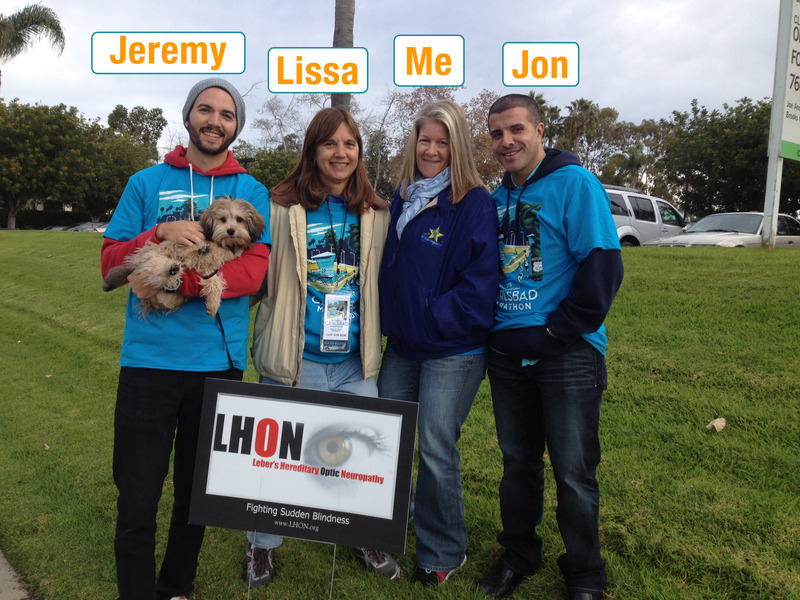 This weekend, a handful of them came out…at the crack o’ dawn…to volunteer for a good cause, my cause, LHON research. 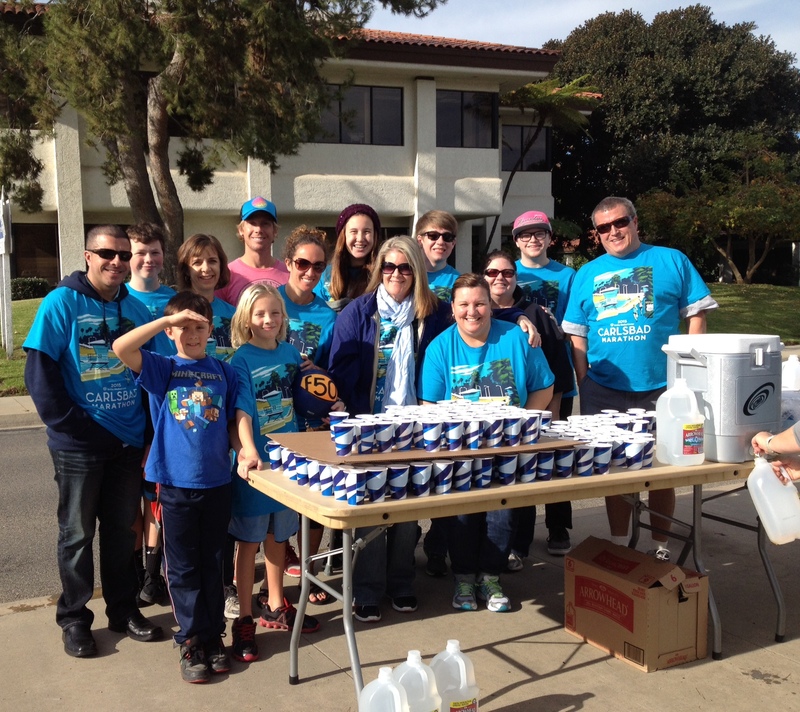 We watered and cheered on the runners at the annual Tri-City Medical Center Carlsbad Marathon and half-marathon! It was a great time and team effort!! My friend and amazing LHON advocate, Lissa Poincenot along with her family, have managed the LHON Project ”water support station” at mile 14 for a few years. By giving our time as part of the race support team, the race gives back to nonprofit organizations. In our case, the LHON Project, which funds ongoing research for a treatment or cure for this disease. Works for me! Thanks to everyone who came out to volunteer for my cause! You did more than you had to, because you wanted to. That means so much to me and many other people around the world who live with LHON. I expect to see you all in January 2016 with water in your hands…err,umm…well, I won’t exactly “see” you… doesn’t matter, just volunteer! Big Blogger Hugs to this year’s GGB volunteers! My family ~ Chris, Molly & Bryce. and Jon Dator, who also lives with LHON.